Child part of You Are Real Project. Because children have very smooth skin, so keratin strength is set to very low, so you can only notice at very short distance. Thank you! Have been waiting for this. So everything is complete now. Does the child package included toddler and baby? No toddler and baby. They are very smooth so I didn't make their revised normal map. 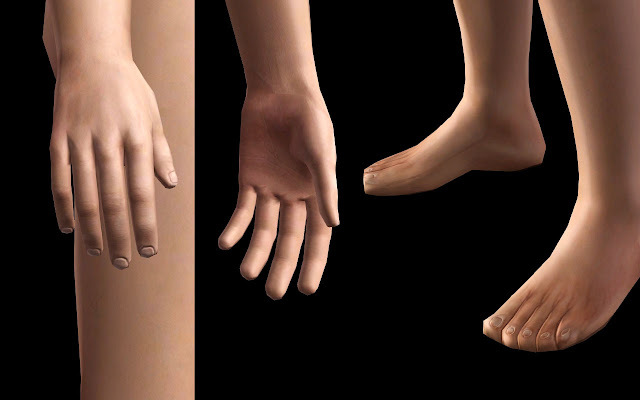 While toddler/baby skin wouldn't need the keratin, the hands/feet revisions for them would be really nice. Regardless, thank you for all the awesome you've done with this set!